After the lovely young islay peater yesterday we have a Skye peater called…skye. This is the one you will find heavily discounted to £25 in one supermarket in the UK somewhere. 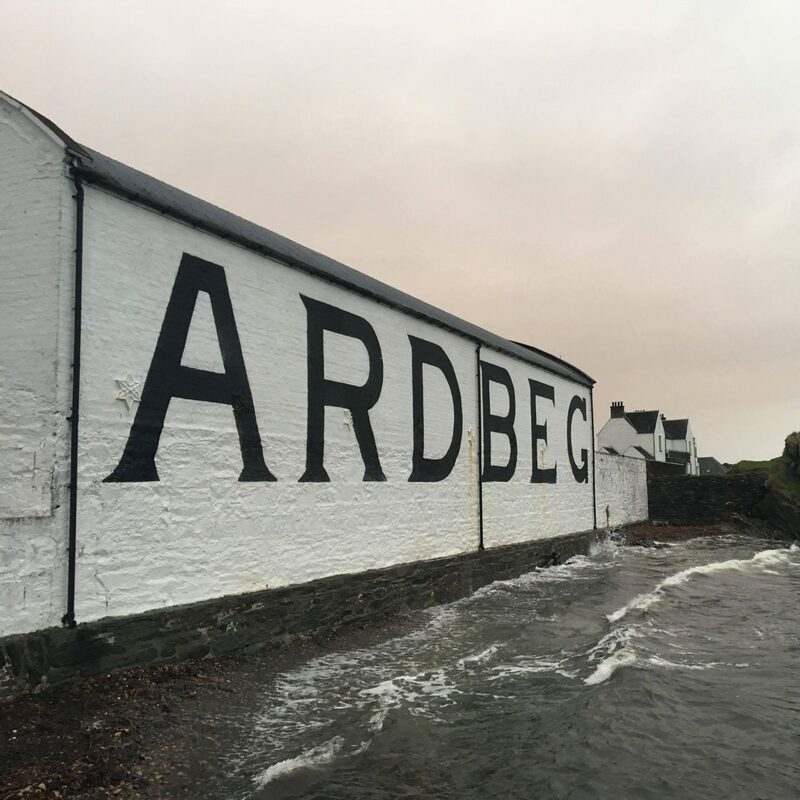 The Diageo owned distillery on the Isle of Skye is much loved by whisky drinkers worldwide. The distillery has a lot of history being founded in 1830 by Hugh and Kenneth MacAskill. These delightful characters were the type of Highland clearance landlords children are taught about in schools (scottish schools anyway). Inbetween offloading farmers off the island for sheep they started distilling as a revenue stream. The venture did not work out for them and 18 years later the bank took over the business and so started a steady stream of owners buying cheap, losing money and selling on. Moving on from the history, there are a number of interesting things about whisky production at Talisker. The setup of which give the spirit and therefore the whisky its interesting character. Talisker was triple distilled until 1928. to make this work it had a very unusual 3 wash still 2 spirit still setup. This same setup is still in use today. The wash stills are unusually tall with a deep U bend which causes heavy elements to reflux. The lyne arms leads to worm tubs which is the traditional method of condensing the vapour and provides extra copper contact. This leads to very simple plain spirit stills which provide weight to the body of spirit which again is condensed using wormtubs. So what is a wormtub? Well a wormtub is a wooden container like an oversized washback which sits outside and is filled with water. In to that water plumb copper pipes from the stills into the container and using lots of coiled pipes submerged in the water the gas will condense. The image below is from the Dalwinnie distillery. This skye expression contains colouring and is filtered but is presented at a higher than you might expect 45.8%. This is the strength of most of the core range of Talisker so Diageo must think that is the optimal cost/quality ratio for this spirit. If you are not in the UK and getting is on loss leading discount it is available here for £38.95. If this whisky was built to a spec and that spec was to take the 10 year old and dial up the salt and rawness then this would be exactly what was asked. For me though what you have done is take the 10 year old and remove the good bits.